Blue Gem Stone Secrets, power of Neelam, benefits of certified Neelam/blue sapphire, how to buy and where to buy Neelam, How to wear and use blue sapphire for success as per astrology? A bitter but sacred and spiritual planet is Saturn/Shani as per vedic astrology, and the gem stone which is related to Saturn is Blue sapphire. A very powerful gem which if suits then change the whole life and bring health, wealth, power, prosperity and if not suits then destroy the life. So great care must be taken while using real neelam. In hindi blue sapphire is called neelam and comes under category of oxide mineral. It is composed of aluminium oxide, corundum mineral. Traces of iron also present which gives it blue color. Neelam can give stability in career, decisive mind, physical power, it can enhance the benefits in property and wealth. It is good for spiritual peopel too and boost the saadhna or spiritual practices. If internal diseases are creating problems then also this gem stone may help the patient. It can open the sources of income and help to getrid of financial problems too. This gem stone is related with Saturn so for the people who have zodiac Capricorn(Makar) and Aquarius(Kumbh), Neelam is the rashi ratna. 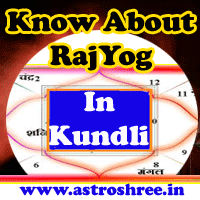 Those who have weak Saturn in kundli can also use this gem to enhance the power of shani in life. It is also good for the service oriented people, it can boost the career with good salary and designation and also help to maintain relations with the colleagues. It is also very helpful for the industrialists, artists etc. But consult astrologer before using this precious and powerful shani ratna. Benefits of wearing Blue sapphire/Neelam? 1. One can attract name, fame, wealth by wearing this stone. 2. It can save a person from the malefic impacts of shani during sade sati or in transit of Saturn. 3. It can boost the muscles power and make the wearer strong. 4. It can open the way of success. 5. It can also save from the evil eye effects and negativity. 6. It is also good for spiritual practitioners. 7. It enhances the efficiency of soldiers, surgeons, engineers, scientists, archelogists, vastu consultants etc. How to wear sapphire/Neelam ? It is good to get a ring or pendent of neelam on saturday and must be worn on middle finger. It is also good to use the first saturday of shukla paksh and also shani pushya yoga is best to wear this ring or pendent. It is also good to chant mantra of shani before wearing. 2. use certified stone and check it by keeping it for some day with you. 3. Use gold to make ring or pendent or astdhatu. Root of Bichhu plant, jamunia, black hakik etc can be used as a substitutes of blue sapphire. There is not to worry if any one is facing problems due to shani/saturn, there is no need to fear from any shani sade sati or dhaiya, there is no problem if any one is facing struggle in life, know the planetary reasons of your problems and know the easy solutions of your problems through astrology. Consult astrologer know and get the best on line consultancy.